ACATS-IV is a 4-channel gas chromatograph with electron capture detection (ECD) that measures a variety of halocarbons and other long-lived trace gases in the stratosphere. The instrument is currently configured to measure CFC-11 (CCl3F), CFC-12 (CCl2F2), CFC-113 (CCl2FCClF2), methyl chloroform (CH3CCl3), carbon tetrachloride (CCl4), halon-1211 (CBrClF2), chloroform (CHCl3), methane (CH4), and hydrogen (H2) every 125 s, and nitrous oxide (N2O) and sulfur hexafluoride (SF6) every 250 s. Each channel is comprised of a sample loop (2-10 cm3 volume), gas sampling valve (GSV), chromatographic column pair, ECD, electrometer, and several flow, temperature, and pressure controllers. 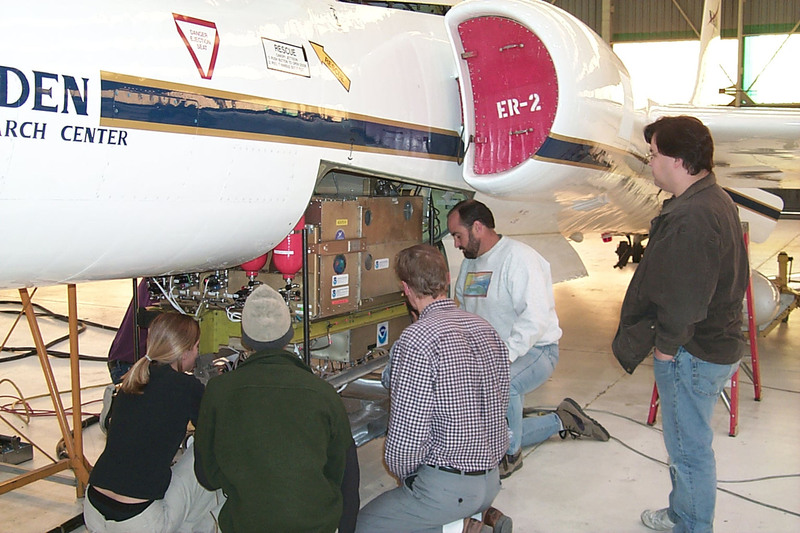 In-flight calibration is carried out every 625 s (1250 s for N2O and SF6) by injecting a dried, whole air standard containing approximately 80% of tropospheric mixing ratios.